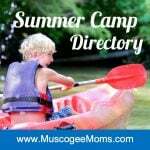 Welcome to the Muscogee Moms® Family Events Calendar! Please confirm details with organizers BEFORE setting out. Due to changes in schedules and exhibits at locations, we cannot guarantee the accuracy of event information. To submit your event, click here. Visit our LaGrange Moms events calendar which includes LaGrange, Hogansville, West Point, and surrounding communities, here.